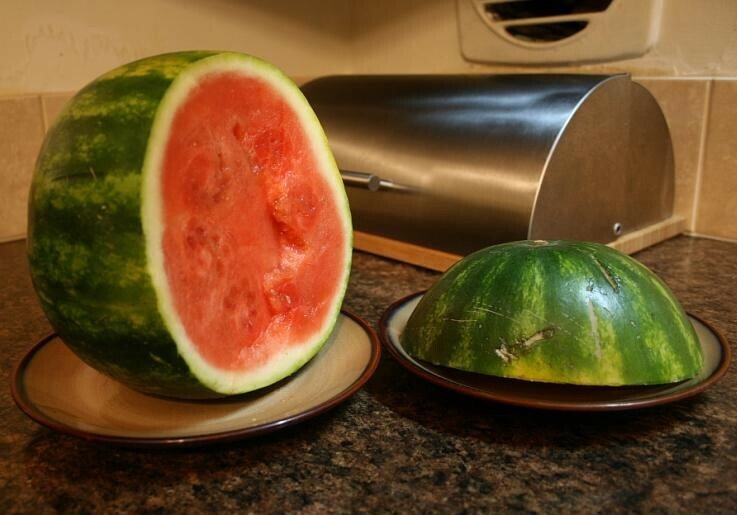 SECOND SLICE: HOW TO CARVE A WATERMELON FOOTBALL HELMET - What About Watermelon? With a certain championship football game coming up, I thought it would be a good time to dust off this old blog entry and repost it as a “Second Slice.” The finished carving makes a nice serving dish for whatever snacks you might have at your big game party! 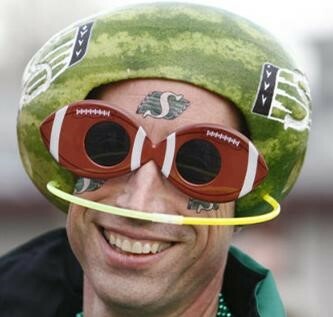 I’m not suggesting that anyone wear a watermelon helmet during the upcoming “big game” on February 1, but I would like to offer the following step-by-step guide to carving your own watermelon helmet (adapted from the instructions on the National Watermelon Promotion Board website). 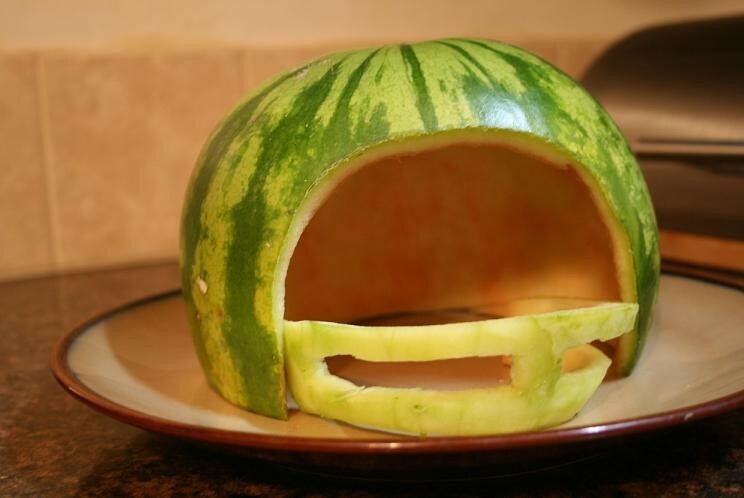 Unlike the fans’ helmets, this one isn’t for your head; it’s for filling with fruit salad. It’ll be empty by halftime, though, so what you do with it after that is completely up to you. STEP 3 – To make the mouth guard part of the helmet, take the piece that was set aside in step #1 and place it cut side down. Position the knife at the center of the stem end and cut it in half. Remove flesh. 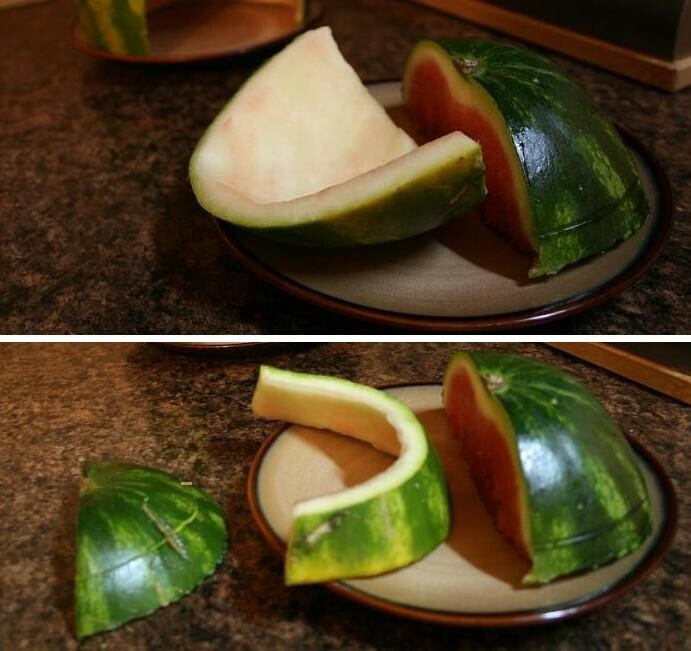 Then cut the top part (the stem part) off of that section so it lies flat when you put it in the helmet. STEP 4 – Carve the mouthpiece with a small paring knife and use a potato peeler to shave off the green skin. To assemble, place mouth piece on a plate. Place the helmet piece on top, pushing the ends of the facemask towards the inside of the helmet. Use toothpicks to keep the mouth guard in place, if you need to. Fill with fruit salad, crab dip or your head. 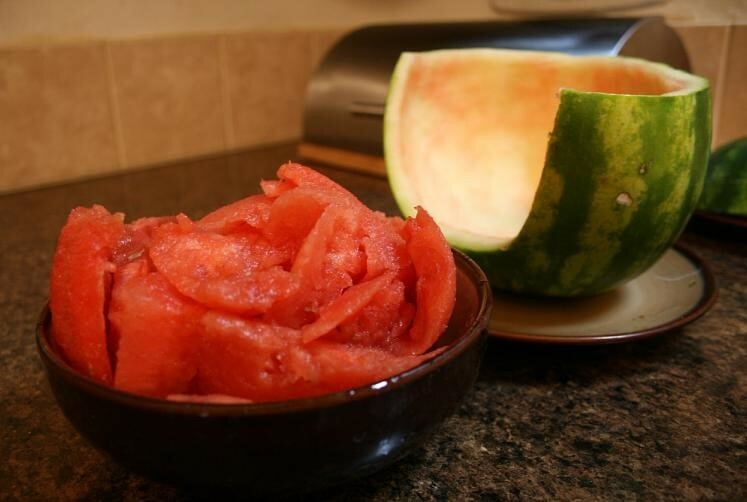 UP NEXT: Watermelon as the perfect diet?